Who is Bostonian of the Year? In a memorable year, with many deserving candidates, it was Paul Pierce who received this year's honor as The Boston Globe Magazine's Bostonian of the Year. 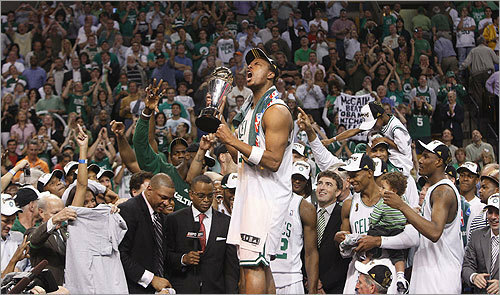 Pierce, who's been with the Celtics through some of the most dismal seasons in the team's history, stepped up in a major way in the 2008 NBA Finals, and finally brought a banner back to Boston.